Watch your baby bump grow with Pearhead’s Pregnancy Belly Stickers. 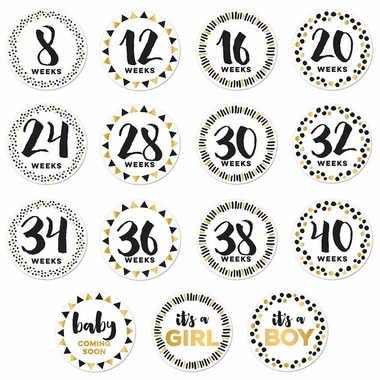 These pregnancy stickers are a fun, special way to capture every amazing moment of your growing baby bump. 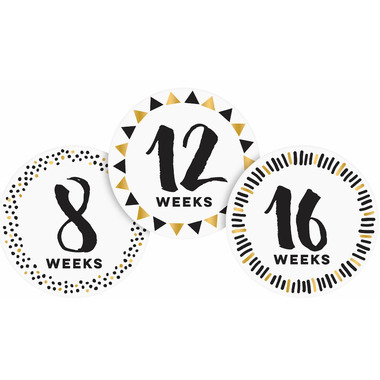 Track baby’s growth with these 15 stickers ranging from 8 weeks to 40 weeks. You can even announce your pregnancy with the “Baby Coming Soon” sticker or announce the gender with the “it’s a girl” or “it’s a boy” sticker! Black, white, and matte gold foil colors add a modern touch to these stickers. The patterns also vary between weeks for that extra surprise! 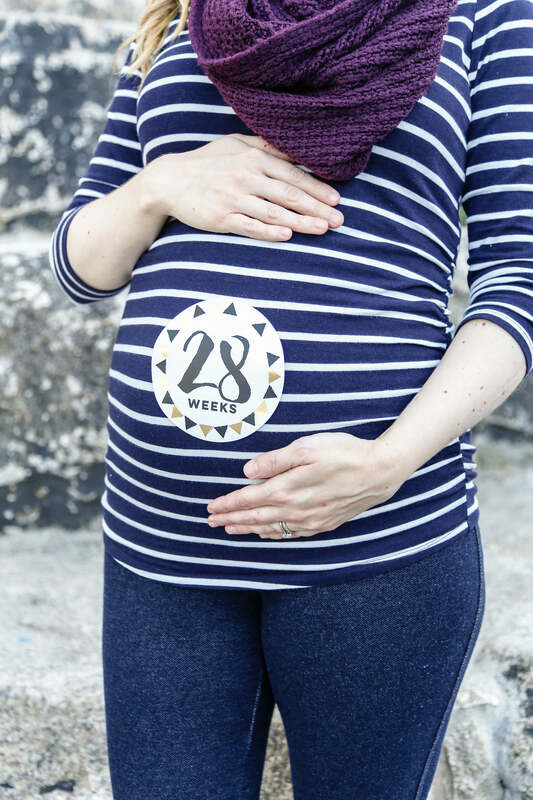 To use, simply peel the sticker and place it on your baby bump, snap a pic, and share your growing belly with friends and family. Capture the moment and share the love with Pearhead’s pregnancy stickers. Use the hashtag #mylittlepearhead for a chance to be featured on Pearhead’s social media pages.